After updating the Surface Pro 2 to increase battery life last month, Microsoft how spreads the love to Surface 2 owners. The November Surface 2 update lists a half-dozen changes for the Windows RT-based tablet, including improved battery life. It's not clear from the update notes how much of a battery boost we're talking, or under what conditions the battery will last longer. Battery life is already admirable in the Surface 2, clocking just over 12 hours in PCWorld's video rundown test. Still, any improvement is welcome, especially if it helps with mixed-use scenarios where the Surface 2 doesn't last as long. Along with better battery life, the update should help with performance and stability, and fixes an audio issue related to speaker playback after disconnecting a headset. The update also includes unspecified camera improvements and driver updates for Wi-FI and Bluetooth that should improve Miracast performance. All of the Type Covers and Touch Covers should get performance enhancements through the update as well. The Surface Pro will get its own November update, but the list of changes is much smaller. An update to the LifeCam driver improves color fidelity, while Wi-Fi and Bluetooth updates will help with Miracast and "further enhance Wi-Fi network performance and stability." Surface Pro 2 owners shouldn't fret, as last month's update provided a decent amount of extra battery life. The regular Surface updates from Microsoft are encouraging. 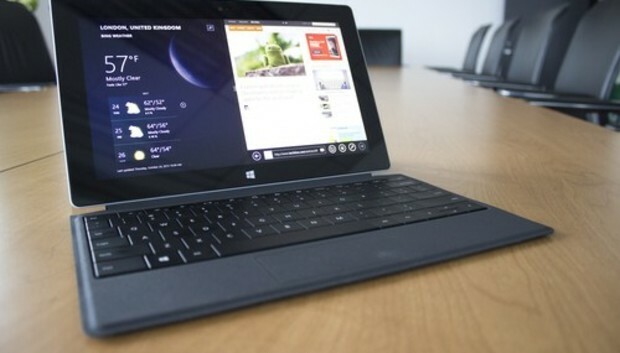 Although Microsoft's tablets have some fine qualities, a few problems remain that should be fixable. (The Type Cover 2, in particular, is in desperate need of better scrolling and tap-to-drag behavior, as noted in our review.) While we're not totally sold on the Surface 2, the Surface Pro 2 can be even more of a winner if the updates keep rolling in.